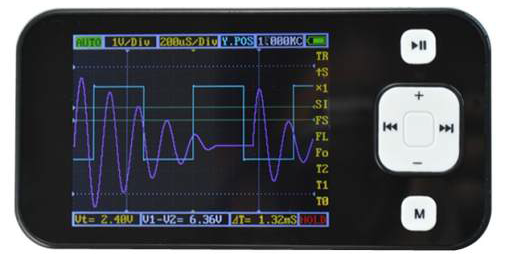 DSO nano is a pocket size digital storage oscilloscope fulfills basic electronic engineering requirements. Mini SD card capability, USB connection, and chargeable batteries. Weighs only 60g. 3. Decompress it, and copy to the root folder of SD card. 2. Change the name of the firmware to BENF_P2.hex from the long, convoluted name. 3. Turn off DS0201. 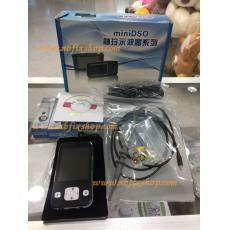 Connect DS0201 to USB port. Hold down the - key on DS0201 key and turn it on. 4. DS0201 should say it's in Firmware Upgrade mode,"Please copy Hex or Bin file..."
5. Wait for virtual disk File Explorer window to appear on your computer. 6. Copy BENF_P2.hex file to virtual disk. Wait for .rdy file to appear, or when virtual disk window closes. 7. Turn device off and on. May display BenF"System Initializing...Please wait". If this doesn't disappear, turn off and on again.